I’ve been entering contests this year to get my work out there to a larger audience. Short stories and flash fiction also happen to be great ways to keep your writing muscles in shape. So a month ago, I tried my hand at one of Writer’s Digest’s contests. It’s based on a photo. You have to write the first line of the story in less than 25 words. Well, I submitted and promptly forgot about it. Then on Friday I got an email saying that I’m a finalist in the WD Your Story #74 Contest! The twelve finalists are listed on the Writer’s Digest website and they are letting readers vote on the winner. Please vote for the entry you think is the best (Mine is option E). You can comment on the WD page or send them a quick email. I really and truly appreciate your support! In other exciting news, I spent the weekend at the Waterbury Barnes and Noble as part of their national Teen Book Festival, B-Fest. I sold some books, chatted with some cool readers, and met some awesome authors. It was a great weekend! Michael Slaughter, Joseph Adomavicia, me, and Patrick Freivald. Michael writes motivational non-fiction, Joseph has a beautiful collection of poetry, and Patrick has terrific horror novels and short stories. I’m wrapping up line edits of Highway Thirteen to Manhattan this week. What a journey it’s been to get the book here. Next it goes to the layout team for the ARC, which will be available in mid-July in ebook and paperback format. If anyone is a book reviewer or librarian and would like to request an ARC, please email me at: kourtney.heintz(at)yahoo.com or comment below. If you’d love to win an ARC, keep your eyes peeled for my Goodreads giveaways of ARCs this summer. I’ll also do a couple ARC giveaways on my blog, too. 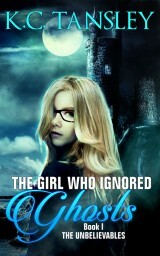 The ebook ARC will be available on Netgalley too. Lastly, I’m planning the cover reveal for the week of July 10-17. If any blogger would like to participate, let me know and I will send you the back cover summary, cover image, and anything else you might need. This entry was posted in author appearance, book festival, book release, Contest, Promotion and tagged ARCs, B-Fest, Barnes and Noble Waterbury, CT authors, Finalist, First Line contest, Highway Thirteen to Manhattan, Writer's Digest Contest. Bookmark the permalink. Congrats on the first line winner! (Voting will be open for a bit, so a reminder might help?) I haven’t read WD for a long time – so much easier on line than in print. Will have to poke around over there some more. You look like you enjoyed the book signing event. (Nice scarf) Chatting with readers is always fun. Hope your summer is going well! Thanks. Yes, I’ll repost weekly on FB and Twitter. Probably only do 1 or 2 reminders here. I swear by it. I think of it as a monthly conference that I attend at my leisure. I’m a big fan of the paper version. I am stuck in front of a screen 8-10 hours a day everyday. Amazing stuff over there. I had a good time. It’s always great to be invited to participate in a B&N event. My fellow authors were nice and the readers were friendly. A very good day indeed. Thanks! Wow. I’m waiting to see it all cover content and ending. Can’t wait to read it. Live all your books. Thanks! I can’t wait to show it off. 🙂 Aw, thank you! Thanks. I appreciate that. 🙂 Aw, I try my best. I’m pretty proud of my short work lately. It’s outside my norm, but it feels fun to step into another format. Congratulations on the WD finals. I will head over there and vote. Couple questions … What is Highway Thirteen to Manhattan? I haven’t seen you mention the title before. Did I miss something? 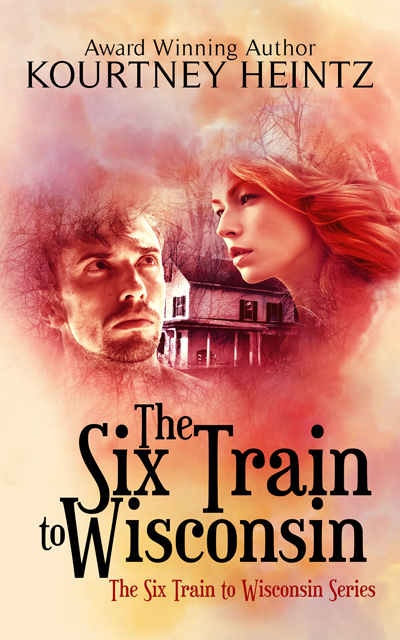 Is that the sequel to Six Train? Thanks. Awesome–appreciate the support! LOL. You might have missed a couple posts. 🙂 Highway Thirteen to Manhattan is the sequel to The Six Train to Wisconsin. It officially releases in November 2016, but the ARCs will be out this summer. I’ve been hard at work on it with my editor since January. That’s great, Kourtney! Sorry I have just lurked on your blog these last few weeks, but I made sure to log in and vote at the Writer’s Digest site. I read through them all, and some of them were quite good, but I voted for yours. Not just because you’re a blogger buddy, but because it weaves a sense of strangeness and mystery that makes me want to know more. Always a good thing for a hook line! If you are still looking for folks to share your cover reveal, I’m happy to help! I don’t have many followers, especially not many who don’t already follow you, but I would still like to share, if that’s okay. If you wouldn’t mind passing along the artist’s credit, and maybe a bit of background on your process with them, that would be great. 🙂 Let me know if I can participate. Best mojo for your continued sales and writing! Thanks Mayumi! No problem. I do my best to make the rounds and comment, but life happens. 🙂 Aw thank you. I had some terrific competition there. I was really trying to do something like that–yay! Congratulations Kourtney, I love your first line and I emailed in my vote. Exciting news about ‘Highway Thirteen’, I’m looking forward to it! Thanks Andrea! I really appreciate the support. 🙂 I can’t believe it’s almost ARC time! 🙂 I’m excited and nervous to see what readers think of what happens next. You’ve got until July I think. 🙂 Thanks so much!